Russia is changing the demography of the peninsula. 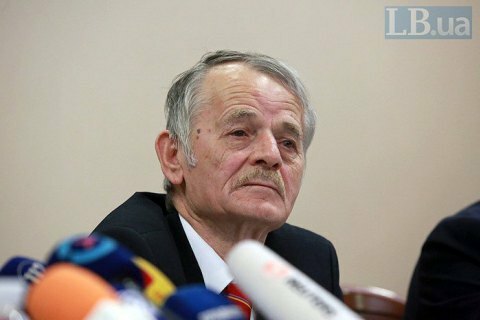 The Ukrainian president's representative for Crimean Tatar affairs, Mustafa Dzhemilyev, has said in an interview with 5 Kanal TV that Russia is forcibly changing the demography of occupied Crimea, having brought 250,000 people from the occupied areas of Donetsk and Luhansk regions and 300,000 from Russia. "Russia blatantly violate the Geneva Convention banning [the occupying power from transferring of own civilian population into the territory it occupies] a forced change of the demographic situation in an occupied territory. They are creating conditions under which aboriginal residents are forced to leave the peninsula while they are replacing them with people loyal to them. For example, they brought 250,000 people from Donetsk and Luhansk regions, those vatniks [low-educated people with imperial sentiments], many of them of bandits involved in lawlessness, and at least 250,000, may well be 300,000-400,000 residents of the Russian Federation, according to various estimates," he said. This directly contradicts the Geneva Convention and is considered a military crime. "But everything is so classified there, so many new people were registered. There are almost no Crimean Tatars in these institutions which keep these records. Everything is very classified," he said.